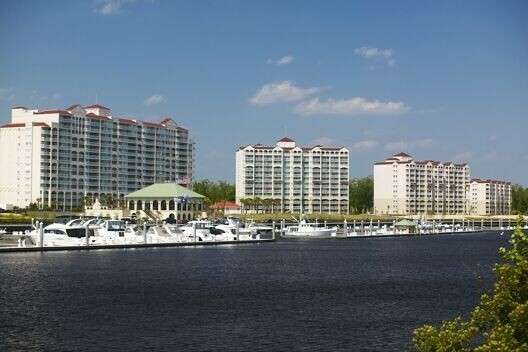 With outstanding views of the Intracoastal Waterway it’s easy to see why vacationers continuously choose to stay at the Yacht Club. These villas are in close proximity to unique shopping complexes, fine dining, and lush golf courses. Guests of the Yacht club can enjoy sunbathing next to a sprawling outdoor pool and spa or enjoy the marina and free shuttle to the beach.